WSET provides best-in-class education and qualifications to inspire and empower the world’s wine and spirits professionals and enthusiasts. We offer a comprehensive suite of qualifications covering wines, spirits and sake. The Wine & Spirit Education Trust (WSET and WSET Awards) is an awarding body and registered charity devoted to the development and delivery of qualifications and courses in wines and spirits. Established in 1969 for the UK wine trade, WSET has since grown to become the global industry leader. As an independent, not-for-profit organisation, our educational products offer impartial and sound learning on which individuals and businesses can build knowledge and expertise. Social responsibility is a part of all our teaching programmes, therefore WSET is proud to partner with Wine in Moderation – Art de Vivre Programme and DrinkAware.co.uk. WSET qualifications are available through a network of over 700 Approved Programme Providers (APPs) working in over 70 countries and more than 15 languages. We also run our own flagship school, WSET School London from our headquarters on Bermondsey Street, London. The school offers the full suite of WSET qualifications alongside tasting sessions, career talks and bespoke programmes. 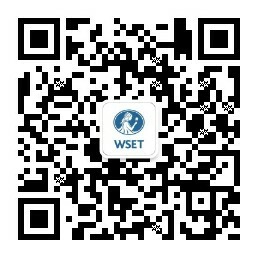 WSET is committed to delivering our qualifications to the highest standard. We achieve this through a quality assurance programme where all course providers (Approved Programme Providers) must meet rigorous approval criteria and on-going monitoring requirements. WSET Awards is recognised as an awarding body by the English regulator for qualifications, examinations and assessments, Ofqual. It also operates a quality management system that complies with ISO 9001:2015, and is a member of the UK’s Federation of Awarding Bodies. In addition, we work closely with the industry to ensure that our qualifications and education products are job-relevant. Many of the industry’s leading brands support our work through our Corporate Patronage Programme. In 2015 WSET was recognised with a Queen’s Award for Enterprise in International Trade. WSET qualifications are developed and administrated by WSET Awards. This team, supported by the rest of the business, oversees the appointment, administration and support of our extensive network of third-party teaching and examination centres around the world (APPs).